How to change your personal details, settings, and profile picture. You can easily change your information when you're signed into GovernorHub by clicking on your name at the top of the screen (your name will show where it says "Romilda Vane" below). If you change any of your details, a little green Saved tick will appear. 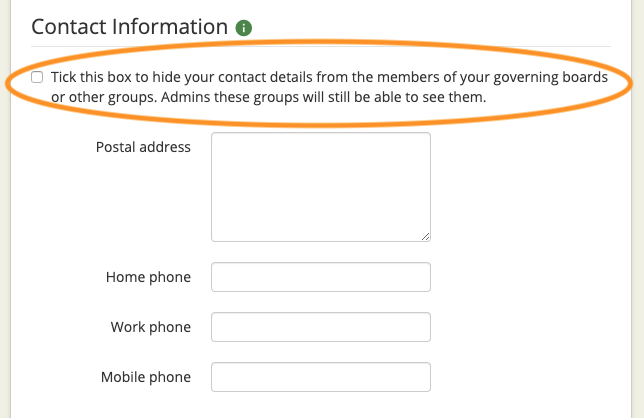 If you want to, you can choose to hide your contact details from members of any boards or groups you belong to, by checking the box under 'Privacy Settings'. Anyone who is an admin or a clerk will still be able to see them. To change your display picture on GovernorHub, you can either upload your own photo from your computer by clicking on the button below your picture, or use Gravatar to upload your photo. If you choose to use Gravatar, you'll be taken through to Gravatar's site, where you can follow the instructions to create an account and upload the picture you want to use as your avatar. GovernorHub will then automatically pull your picture through from Gravatar and set it as your display picture.